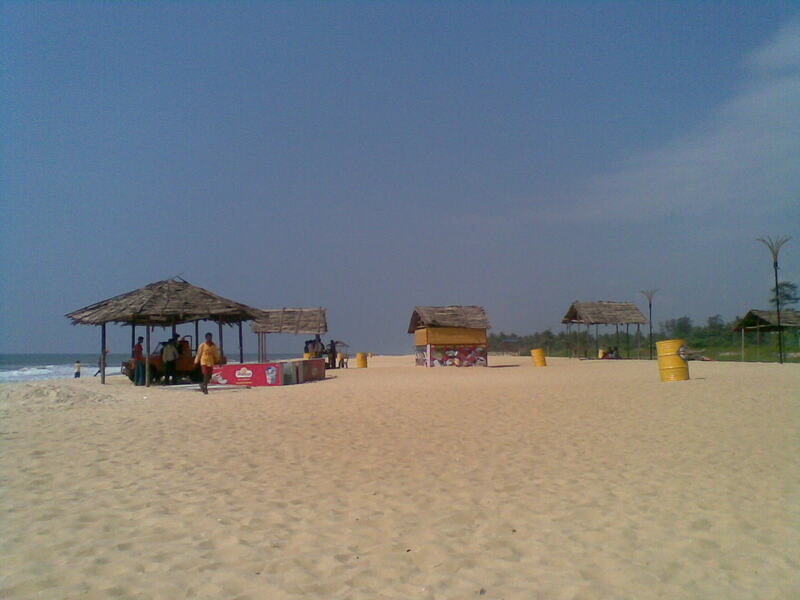 Panambur Beach in Mangalore - Extremely beautiful ! My friend and I checked-out of the hotel, came out to the road and stopped an auto rickshaw. He said, "Sir! You've to pay me 1.5 times the meter fare to get to Panambur Beach. I've to return empty - nobody boards from there to here". We didn't want to bargain/argue in a strange land - especially, without knowing the local language. It took about 20 minutes, to get to Panambur beach. Some folks were riding water scooters. There were people (government appointed?) to monitor the safety of the folks entering the sea. There were small tents providing shade for the people. 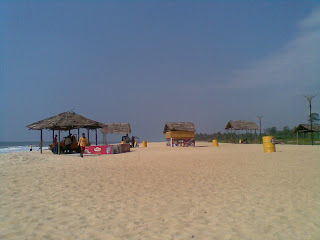 We spent nearly 2 hours in the beach. On our return journey, we stopped at the nearby auto rickshaw stand. The guys in the stand demanded 1.5 times the meter fare, again. Their rationale was "Sir ! We aren't from the city. We have to come back to this place empty. So, you have to pay 1.5 times the meter fare". We didn't have much choice and ended up paying 1.5 times fare (Rs.150).